I don’t know about you, but I find my day’s are never ending with things to do. Take dog to the vet, book kids in for appointments, remember to go to the post office and most recently, I kept forgetting to put the slow cooker on to cook a roast I purchased. I find comfort in planning a busy day and creating goals for what I want to achieve. There is nothing like ticking a box as a sense of accomplishment. I have a few various to-do lists, my favourite which I am using daily in my office is my new things to-do notepad. Which has been brilliant for helping me set priorities for each day. 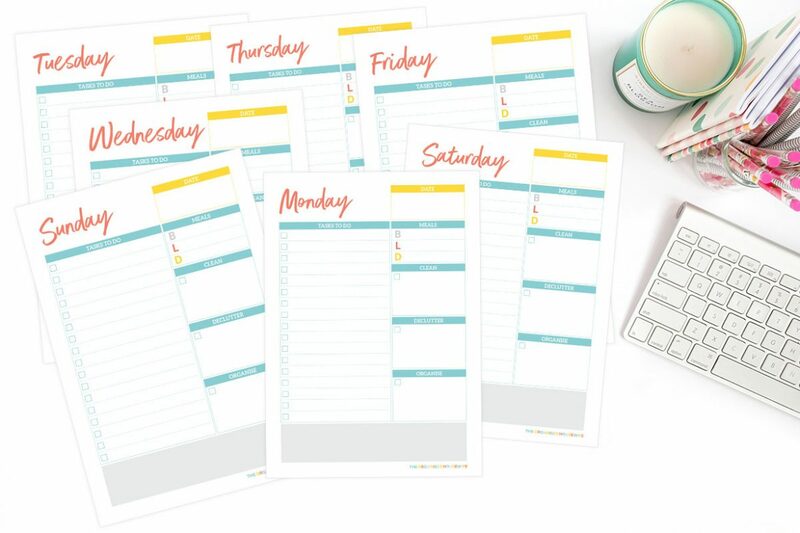 I also created these home organisation daily planner pages to help you with your home organisation tasks in your home. Write down the cleaning, organising and decluttering tasks you want to achieve each day. Start your day with a plan to help you accomplish your goals by the end of the day. What is your key to staying organised each day?